It is with heavy hearts that we announce the passing of Jed Blekkenhorst, our beloved partner, brother, father, opa, uncle and friend. On Monday, September 3, 2018, Jed lost his brave battle with Leukemia and passed away peacefully at home with loved ones by his side. Jed shared his father's passion for dairy farming and after graduating from New Liskeard College of Agriculture Technology in 1986, he worked the family farm alongside his father. He took over the farm in 1997. Jed took great pride in selective breeding to ensure a top quality pure breed herd. Jed received many awards for his excellent work. Jed is survived by his life partner & soul mate Tracy Freeman, brothers Henry-John (Sue-Ellen), Berend (Peggy), Art (Cathy) and Leo (Angela); Jed's children Sarah (Jeff), Natalie (Matt), Alex & Gregory, with their mother Lynnea. Tracy's children Ryan (Kaitlyn), Noel (Matthew) & Rikki. He was also a proud Opa to Markus, Aria, Ryder and Lily. Jed is also survived by numerous nieces and nephews. Jed is predeceased by his loving parents, Jan and Geertje Blekkenhorst, both in 2016. In addition to his passion for caring for his "brown eyed girls", Jed also enjoyed camping, vacations, chocolate, whiskey, and growing anything green. Jed also enjoyed his monthly bonding time with "the power of five". A special thank you to the incredible staff at the Thunder Bay Regional Health Science Centre in ICU and 1A. A very special thank you to Dr. Laferriere, Joanna and Carole. We would also like to thank the Saint Elizabeth's nurses who made Jed's final days at home possible. 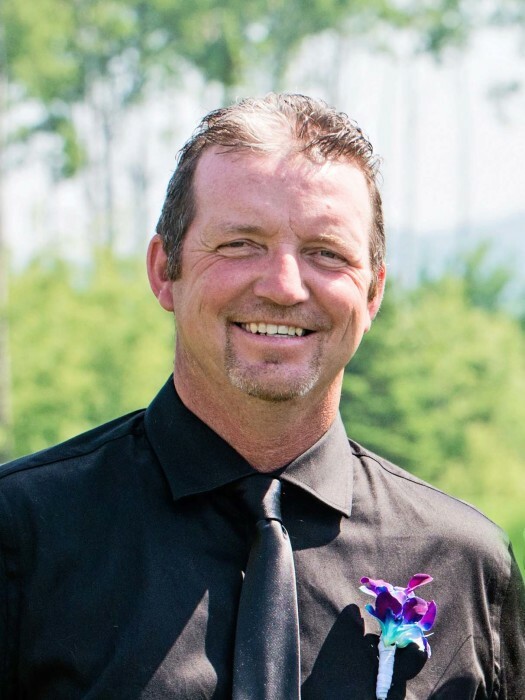 Funeral Services for Jed will be held on Monday, September 10, 2018 at 1:00 pm at Hope Church, located at 1315 Crawford Ave, Thunder Bay, with Pastor Robert Hoekstra officiating. Visitation for family and friends will be held on Sunday, September 9, 2018 at 6:30 pm, at Hope Church. In lieu of flowers, donations can be made in Jed's memory to the Leukemia and Lymphoma Society of Canada. Jed Blekkenhorst will be remembered in the Blake Funeral Chapel Memorial Grove. Annual dedication service Sunday, June 9, 2019.